I hope you've all had a good week. It went too fast for me. I haven't finished work at the middle school yet due to my internship but all my teacher friends are done...WAH! Well, today I've decided to do a mini ReadAThon. I am going to post each hr. for about 4 hours. We will see how far I get! We meet Meg, Emily and Rick. Emily has decided to go to art school for part of the summer because she doesn't have a boyfriend. She is not really enjoying it though because the students seem to know so much more than she does. It's moving a little slow for me right now but i"m sure it will pick up. Plenty of good quotes to keep me turning pages. 1. Cool Nailcolors - my two favorite nail color companies are Piggy Polish and OPI. They have the most fun colors and color names. Summer colors - blue-ty call, pinkerbelle, personal shopper, queen of everything (this one is so about me). Sometimes I don't even care what the color is - I will buy it for the cool name! 2. Gilmore Girls - it reminds me so much of Jess and I. Single momhood can go many different ways, lucky for us we mostly enjoy each other's company. Yesterday we spent the afternoon browsing at Hammes Notre Dame bookstore and Barnes and Noble. I had giftcards that were totally burning a hole in my pocket! Then we came home and started our marathon Gilmore Girls watching and we laughed and laughed. It was a fun afternoon! I just wished I knew where they bought Lorelai's wardrobe. 3. 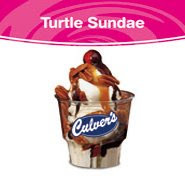 Culver's Turtle Sundaes - mmmm. Need I say more? No, I don't have them often but when I do...mmmmm. 4. Deluxe Scrabble - I won! 5. Wrap Up - We are still wrapping up the school year. I have a few more days to clean things up and write my annual report. Little harder to do this year because I have the internship so I can't just barrel right through. But my summer is right around the corner - and I anticipate an easier time coming up because I ordered a wireless scanner! Right now we have one computer that we load on a cart and haul around the library. We have extension cords everywhere and we have to find a hub to get internet access. When the library was built, it was definitely just a book depository and there are very few places to access the internet. That's actually how it is around the building - very few access points and NO WIRELESS. We are totally behind the times. Hopefully my grant-writing class this summer will lead me to some sort of cool technology grant...ah, wouldn't that be great! Anywho, time to do my nails!! Going for the OPI - Queen of Everything! What Your Children Are Reading was just initiated by The Well-Read Child. She has the Mr. Linky if you want to sign up! The cool thing about this is you set the parameters! I'm going to do this every week with the hopes that my daughter will eventually start posting it herself!! She re-read Are You There God?, It's Me Margaret last month and just read Deenie three days ago. She went on to Judy Blume's website to find all the middle grades and YA books that Judy has written!! She presented me with a typed list of all the Judy Blume books she needed me to get so that she can read them!! I remember reading these when I was her age...but what shall I do about Forever? What I tell other parents, read with her and open the lines of communication! It's going to be a great summer! Waiting on Wednesday is brought to you courtesy of Jill at Breaking The Spine. See her blog for more books to wait on! First off, that cover is just too cute! The author's website is very attractive too! "You won't die from a broken heart, you'll only wish you did." from the author's site. 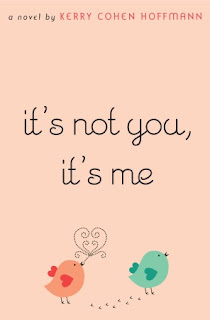 Hoffman is having a contest and you can win a signed copy of It's Not You! Besides the summary below, there's also an excerpt. Zoë wants Henry back - at any cost. Zoë's two best friends come up with a plan to help Zoë get what she thinks she wants. The plan: make Henry jealous. 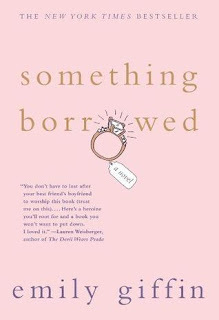 Spanning thirty-one days in the cycle of a breakup, Kerry Cohen Hoffmann's funny and touching novel depicts a girl whose single-minded focus on her ex-boyfriend has pulled her far from the person she most needs to win back - herself. So, that's what I'm waiting on, what about you? 12-year-old Lucy just found out that her family is having money problems. Not small problems but losing your business and having no place to live type of problems. Her grandmother wants them to sell the house and maybe close the family pharmacy. In Earth Club, Lucy stumbles across a going green grant for their town that just might be the ticket the family needs. She also starts doing make-up in their newly set-aside Relaxation Room. With the help of Yamir, her best friend's annoying, or maybe not, brother, she designs brochures that are sure to bring in more business. Can she save the family? I'm not sure how I want to categorize this story. Part of the story was implausible - Lucy finding a grant that happened to be from her town's mayor and Lucy doing the hair and makeup for high school students. I kept wondering if my 13 year old would be capable of these things. I didn't really get a feel for Lucy's mother - was she incompetent or just forgettful? There seemed to be too many gaps in the story to understand her as a character. That said - I still enjoyed this book. I thought the beauty and business tips at the beginning of each chapter were a great touch as well as useful information that a middle-schooler could put into place. I liked the way Greenwald described Sunni's and Lucy's crushes - just enough so that girls could empathize and look forward to their first crushes. The Earth Club is one all schools should have. I also found it easy to understand Lucy's character. All in all, I would give this book 2 copies. It's something I would have in my library and booktalk. It just wouldn't be my first choice for book clubs. In My Mailbox is brought to you courtesy of The Story Siren. Check out all the wonderful books she's received! I only received one book this week. Just one. Everyone who entered this contest at Goodreads received a copy of the book! One of my teacher friends love Emily Giffin's books so I thought I'd start reading them if I won the contest. This is the first one in a series. I look forward to reading this sometime this summer hopefully! Well, that's all for me. Short and sweet. 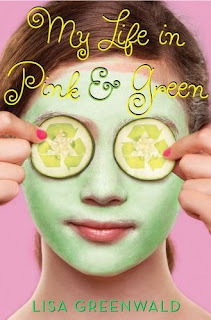 I finished reading My Life in Pink and Green and will be posting my mini review soon. In the meantime, I'm one of many sites hosting Sisterchicks in Wooden Shoes by Robin Gunn for Multnomah. The tour runs from June 8 - June 12 so I thought I'd get started on the book. I'll also be interviewing the authors of The Geek Girl's Guide to Cheerleading at the end of June and then Tonya Hurley of Ghostgirl fame in July. It's weird because on the one hand I'm super excited to be doing this but on the other hand, it starts to feel more like work. I mean, no one's actually making me do this, I chose which tours to participate in! Aaahhh! I feel better already! I chose this. I chose this. I chose this! 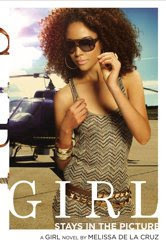 I haven't ready any other Sisterchicks books but this sounded good in the blurb. I'm 49 pg into the book and we've met Noelle, Jelle, and Summer as well as Summer's husband Wayne. Summer received the news that she needed a biopsy and decided to do what she's always wanted before she got any life-changing news. She goes to the Netherlands to meet her long-time pen pal, Noelle. So far the book is ok but it hasn't turned great yet. It's not bad or anything, just not totally keeping my attention. I'll give it 75 pg, which is over 25%, before I call it done! This is the story of Trina, Dominique, and Leticia. We follow them around school one day. Dominique, the ball player, who uses force to get what she wants, Trina, or Cute Trina, who uses her looks to get what she wants, and Leticia, who blames everyone else for not having what she wants. Dominique can't play because her grades have fallen and her teacher won't change the grade. Leticia has to take zero hour math and French I and the guidance counselor won't switch classes. Trina is walking around being Trina but she sets the action in motion. The story rotates among the main characters and each have a distinct way of speaking. I could actually "hear" their voices! Cute Trina who believes all the girls want to be like her and all the boys want to be with her. And Leticia who doesn't want to take responsibility for herself or anyone else. Williams-Garcia keeps the story rolling and you get to know each character a little better each time they speak. The pictures form in your head and you know them. I enjoyed the pacing and the story has a lot of everyday humor to offset the feeling of doom. You know we are racing towards something but we actually enjoy ourselves on the way there. There were so many times that I found myself smiling or laughing or writing down quotes. I enjoyed the insight into the teachers, the guidance counselors, and the absent Bea, who was at work. I found the plot realistic. Sometimes what we see as small stuff is enough to set someone else off. Each person brings his or her own schema and somewhere in there, is something only they know about. The ending was spot on - no one changes overnight! This is real and it didn't make me mad because the rest of the book fit right in, no neat wrap up necessary! This book was thought-provoking and entertaining and something I must buy for the library. It has 4 copies written all over it. It is YA though for some sexuality which is only alluded to not explained nor explored. All in all, a great read. Again, I say 4 copies! IMHO, I don't think this will go for Newbery. I think the mature themes make it more of a Printz contender. I hope to see it on the shortlist for one of these though. Funny stuff! I must find more Rita Williams-Garcia! Hello and welcome to another Friday. This has to be the best Friday so far this year because it's our last Friday of the school year!! Yeah!! I love working for a school. 1. Blog updates - I have been spending so much time to get my blog in shape, I haven't been reading as much as I usually do. What a catch 22 since the blog is about my reading! I have some navigational things to put in but I'm going to slow that down so that I can read more! 2. Inventory - we are doing inventory at the library. I'm hoping this year that books on shelves = books on computer! I will put in a little time each week this summer, weeding things out and trying to find "lost" items. I want to come back to a lean, mean, book spewing machine! 3. SRP - today was the kickoff for the summer reading program at St. Joe County Library where I'm interning. This is the first summer they offered online registration and tracking. It was crazy busy! On the one hand, many people DO NOT trust computers and was like, no way. On the other hand, people were like, that is so cool! It's one more way I can be a hermit! 4. Carmex - love this stuff, especially the original. I usually keep one in the car, one at work, one in purse, one in bedroom. I'm also notorious for losing things, so having all of these means that I will usually know where at least one pot is! And of course, that's usually somewhere I'm not! 5. Peep Toes - I can't wear open-toed shoes at the library. That is a tragedy! It's summer for goodness sakes! I have to leave my Wedge-Heeled Black Patent Leather Peep Toes at home. Now matter how cute I look in them. And I do look cute people!!! Darn cute! For shame library, for shame! My intern supervisor is going to run a Mock Newbery club and this is a contender. I'm going to try and read all of them with her so that I can initiate this club at school in the Fall! Our school just started an exchange program with China and we are trying to find trade books for our students to read. This one looks good! 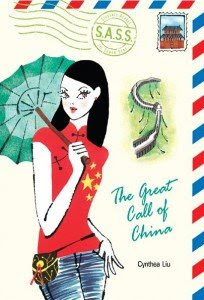 Cece was raised American and has an opportunity to travel to China in an Exchange program. She hopes to learn more about her past. Library Loot is brought to you courtesy of Striped Armchair. Check out her blog for more reading matl. 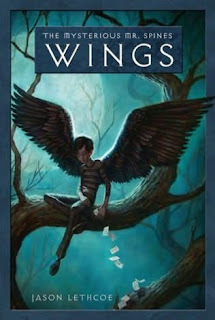 Side Note: Since I'm going to work with Kris on the 2010 Mock Newbery, I won't be reading much outside of books received for review and possible contenders for the award. This will change my reading plan. I hope to learn more about reading for a variety of ages since Newbery's cover birth - 14! In the summer the YA book club and I like to read quick, fun books and this one looks like it fits the bill. Not to mention the girl looks just like my daughter! Here's the description from Simon and Schuster - looks like 1st in series! If you can't be a mega teen superstar sensation then maybe you'll be lucky enough to join her entourage. Devon -- one name only, please -- is the latest and jail-bait-est pop star to hit number one on the Billboard chart, and she's making her big-screen debut in Juicy. But after her stint in rehab, the studio isn't so sure she's their girl anymore. If they cut any more of her lines, she'll be a silent film actress! Can Devon regain her star status? She needs to watch her back and make sure that flash doesn't catch her causing a scene, and we don't mean the kind you can yell "Cut!" after. I hope this is as entertaining as it sounds! What are you waiting for? Waiting on Wednesday is brought to you courtesy of Breaking the Spine. Cruz on over there and find some more books to read! Time - Unknown - pulled an all-nighter! Percy Jackson and the Olympians start with The Lightning Thief. We meet Percy Jackson and learn that he has been kicked out of every school he's attended. He has never been "invited" back! He's 12 years old and he finds out that he is a half-blood - half human and half Greek god or a demigod. So begins Percy's adventure as he tries to make it to Camp Half-Blood so that he can be trained. He needs to be able to fight in order to kill the monsters that will do anything to bring down the gods. The Lightning Thief is followed by Sea of Monsters, The Titan's Curse and The Battle of The Labyrinth. In each one Percy has a new adventure that involves killing monsters and hanging with his two best friends - Annabeth, who's also a demigod, and Grover, the satyr. In each adventure Percy is a little older and little closer to hearing The Great Prophesy. The one that involves him at the age of sixteen and the future of the world hangs in the balance! I totally loved this series. I am sad that it is over. It was everything I expected and more. Although it did leave me with one question: How did Ethan know about Percy's weak point? That was not explained well to me and I feel as if I need more. I did like how Rick left it open for a new series with 7 more demigods who will be treated differently thanks to Percy's wish being granted. I believe Nico will play a huge part in the new series. I really wanted to go back to the beginning and start the series over. I love reading a series when it's all published because all the details stick in my head. Highly recommended. Must buy. I just got this in the mail today and it's also the official release day of the book! Dessert First arrived courtesy of The Picnic Basket. Check it out. They have frequent offerings that you just have to email for if you are interested. You do have to be fast though. The only cost to you is your review! The Picnic Basket also includes a synopsis and "the story behind the story" for each book. Check it out! I have been trying to find engaging middle grades fiction to read. I hope this pans out. In addition, I'm doing my internship in the Children's department of St. Joseph County Public Library, Main branch. The manager served on the Newbery's and she runs a Mock Newbery club. I know I'll get some experience that way too. I look forward to reading this but I must say, it looks "younger" than middle grades. I'm not sure any of my students would voluntarily pick this up. I could "sell" it as a I look forward to reading this but I must say, it looks "younger" than middle grades. I'm not sure any of my students would voluntarily pick this up. I could "sell" it as a Diary of a Wimpy Kid for girls type book though. Course, I should read it before picking a "market" eh?! Welcome to the Sunday Salon - on Tuesday! That's how the last few weeks of my life have been going. Just trying to find time to think! I got a copy of The Last Olympian from the library last week and jumped it up the pile and just stayed up all night and read it!! Of course, I was mighty tired the next day but it was worth it! It may have been the last of Percy Jackson's adventures but you could tell that Rick Riordan is planning on a new series featuring demi-gods and I know I will be first in line for that! This is another one that jumped the reading queue. I only read a little bit of it because I of The Last Olympian but I'm enjoying it and I'm sure I'll finish it soon! I love the tips at the beginning of the chapters. So far this is the story of Lucy. She is a twelve-year-old who "works" in their family-owned drugstore with her mom and Grandma. The pharmacy is in danger of closing but Lucy's mom, Jane, is in denial. She's sure everything will be alright. In the meantime, Jane still lives at home with her mother. At the age of 40! Lucy loves working with the beauty products in the store. She gets to try all of the free makeup samples that companies send in! I would love that too!! Lucy thinks she's found her niche when she helps the most popular girl in school, Courtney Adner, fix a salon disaster on the morning of Homecoming. That's as far as I've gotten so far! My plan is to finish this soon because next week Hunger: A Gone Novel by Michael Grant comes out!! It's the top book I'm waiting for this year! Today is the official launch day of Geek Girl's Guide to Cheerleading by Charity Tahmaseb and Darcy Vance. I will be lucky enough to participate in the Blog Tour by doing an interview with the authors! I am so psyched! Head on over to Geek Girl to wish the ladies a successful launch day! Ttl Rdg Time: 4hrs. 15 min. Taylor Lily Markham was just left by the second person she loved. At the age of 11, her mother left her at a 7/11 on Jellicoe Road. Now Hannah, who has taken care of her for the past 6 years, is gone and no one is giving her any answers. In the meantime, the "war" between the Townies, the Cadets, and the Jellicoe School is heating up and Taylor is being forced into leadership. Taylor starts reading the book Hannah was writing, hoping it will somehow make her feel more connected to the missing Hannah. The beginning was a little confusing for me. I was trying to make connections between Taylor, the Cadet, and the four students on the side of the road. I was also a little distracted by Marchetta's use of "feral". I must say that I kept reading even through my confusion because the writing was entertaining and beautiful. And then I understood what was going on. I noticed the formatting of the book. Marchetta's use of italics helped me understand what was happening now and what was from Hannah's book. Once I got that - things moved even faster for me! The story kept me trying to guess what was going to happen and how things would come together. Although I was engrossed in the story, I kept writing down quotations that I thought signifyed the beauty of Marchetta's style. The budding romance, the building loyalty, and the unfolding mystery all add up to a wonderful story. I can't really tell much because the story is in the unraveling. Read it, you won't regret it. Recommended. Will buy for school library. IMM is brought to you courtesy of The Story Siren. Check out her blog as she will have Mr. Linky as well as ways you can try for more books! I got this from LibraryThing Early Reviewers. I request all of their young adult titles. Mostly I've seen ones from Orca Press. They make good books for reluctant readers. They aren't too long and they aren't formulaic. Love the cover of this one. 15 y.o. Sarah's father died last year but she is still reeling from his abuse. I requested this ARE from Roaring Book Press through Shelf Awareness. Sometimes I request Young Adult books but I've also requested adult ones too. Well, those have been added to my tottering pile of books to be read. Don't look for reviews too soon, but they will be coming! This is where I will list the books that I've borrowed and read. My goal is to read 50 books this year - from my school or public library. 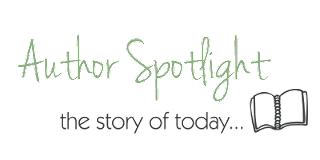 If you are interested in this challenge, go to J. Kaye's Book Blog, here.